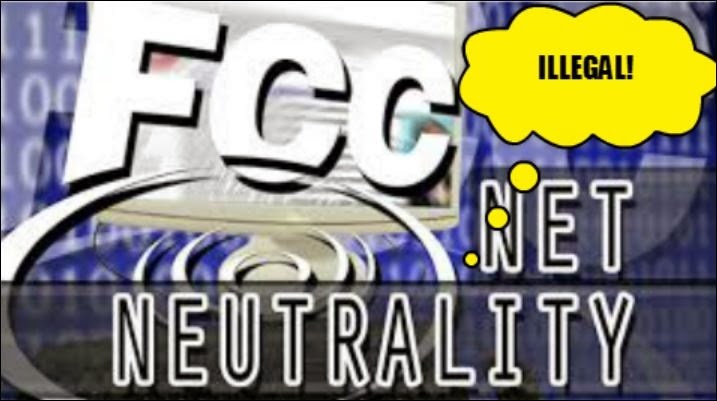 ARRA News Service: Network Neutrality - Why Can't the Government Take No for an Answer? Network Neutrality - Why Can't the Government Take No for an Answer? Seton Motley, Contributing Author: Network Neutrality is sadly, yet again back from the dead. Because the Barack Obama Administration keeps insisting on resurrecting it. Twice now the D.C. Circuit Court has unanimously thrown out the Federal Communications Commission (FCC) Net Neutrality power grab. Have said grabbers been at all chastened by these rebukes? Sadly, no. Barely over a month after the FCC’s second rejection, we get this:FCC Plans to Issue New 'Net Neutrality' RulesLikely forcing yet another company or two to waste millions of dollars and tens of thousands of hours suing to - hopefully - fend off the Leviathan. Meanwhile, it’s time for Congress to rein in this Administration’s unilateral authoritarianism. Cut the FCC’s budget - and refuse to restore funding until the FCC restores sanity and stops trying to illegally impose Net Neutrality. After all, it is Congress’ job to pass Net Neutrality legislation - thereby creating the legal authority for the FCC to impose it. Otherwise known as the cart-after-the-horse approach. Congress should at the very least be offended by the FCC usurping their jobs right out from under them. We are drowning in Obama Administration illegal power grabs. Congress must finally do something to stop it. The FCC yet again assaulting with Net Neutrality about the only functional economic sector going is a great place to start. Please Congress - throw us and the economy a lifeline. Cut some of the many FCC purse strings - until they cut this stuff out. Seton Motley is the President of Less Government and he contributes to ARRA News Service. PJ Tatler also published this article. Please feel free to follow him on Twitter / Facebook. Tags: Network Neutrality, government, FCC, Congress, Seton Motley, Less Government To share or post to your site, click on "Post Link". Please mention / link to the ARRA News Service. and "Like" Facebook Page - Thanks!